How did Reading Australia celebrate National Literacy Week? 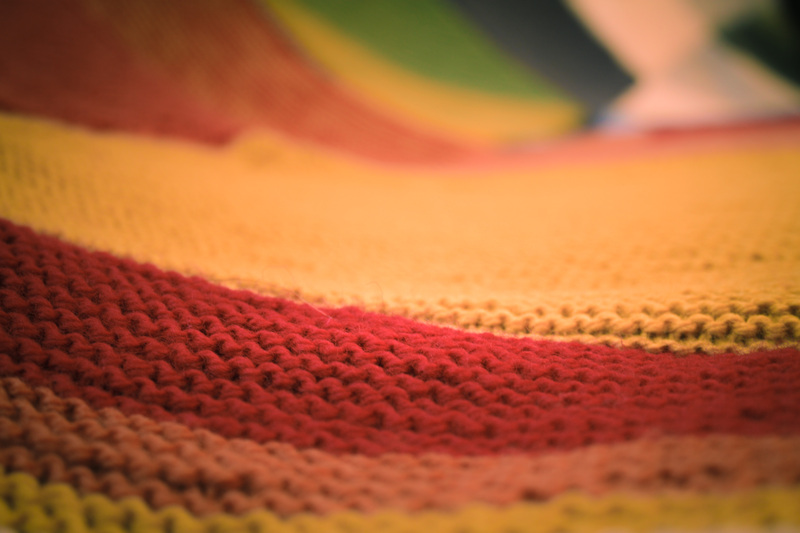 Through literacy-themed knitting! 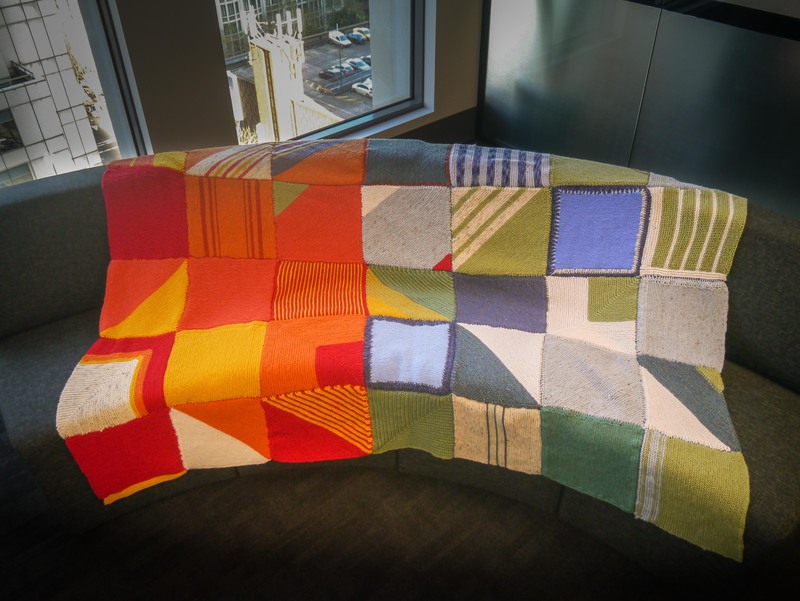 The Copyright Agency’s inaugural Knitting Group has been meeting every Wednesday for the last two months, clicking and clacking their knitting needles, and combining their efforts to produce this beautiful woollen blanket. 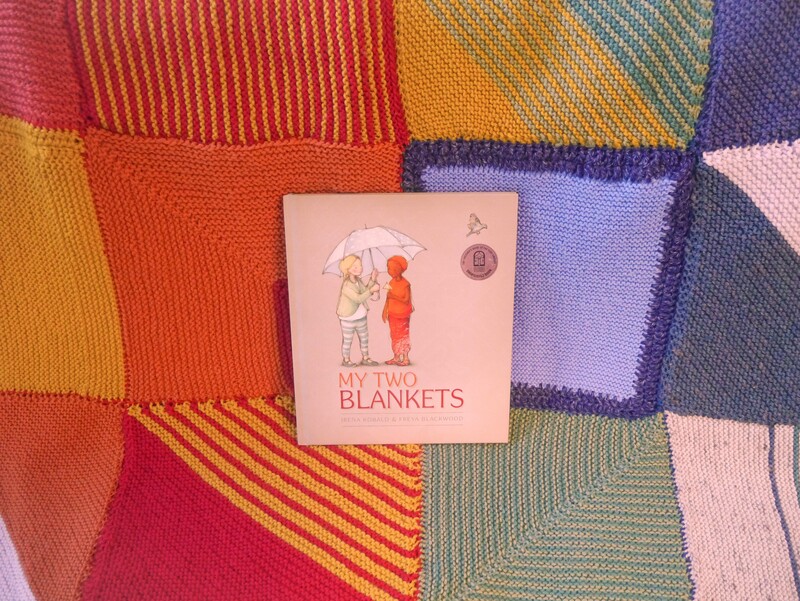 The design was inspired by My Two Blankets by Irena Kobald and Freya Blackwood, which was this year’s featured book during National Literacy Week. 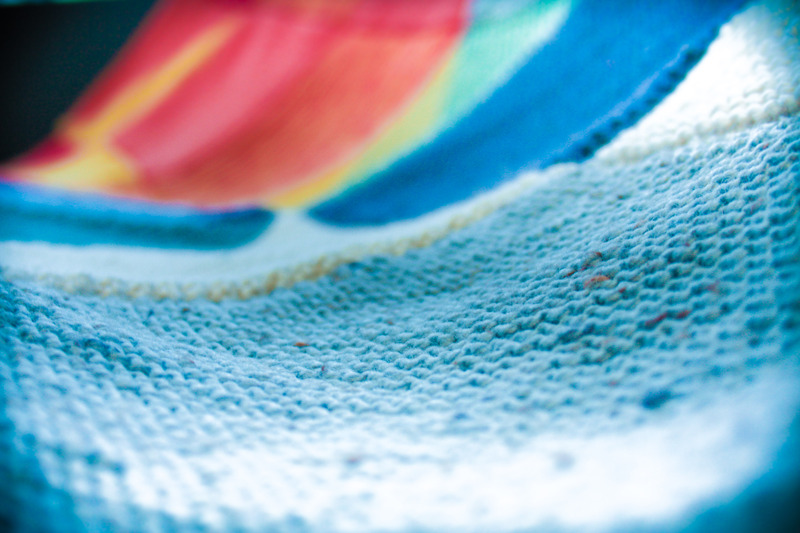 The concept was to bring together Cartwheel’s two blankets into one to represent how she combines two cultures and languages. 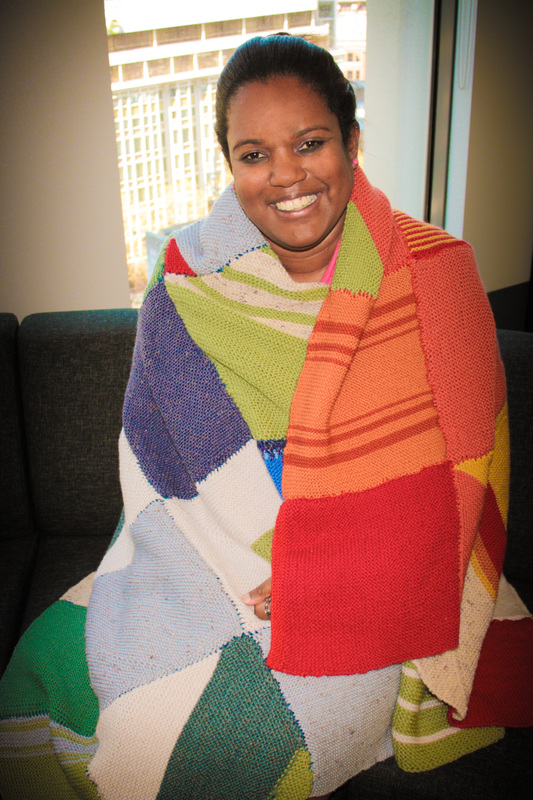 Patricia Adjei, pictured below wrapped up in the blanket, is our Indigenous Engagement Manager and Legal Officer who will travel to Alice Springs and gift the blanket to an Indigenous artist working from central Australia. 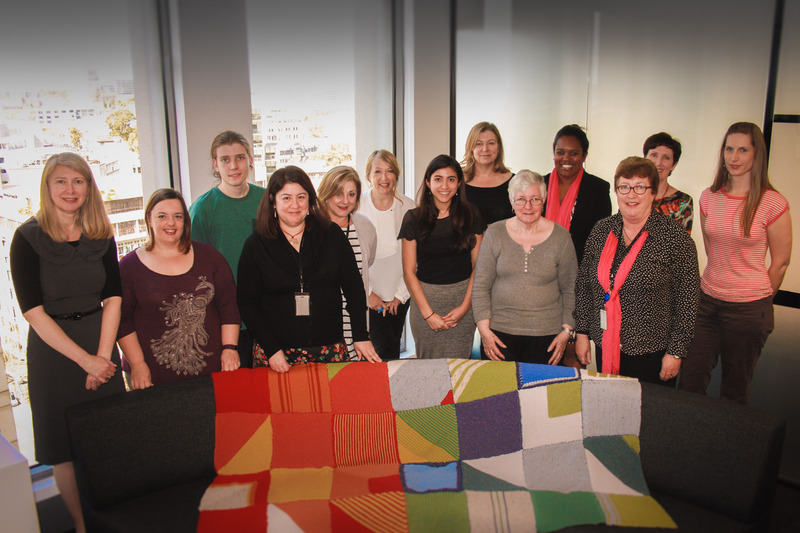 Also below is a photo of part of the team who put the blanket together.